Gene cuts a customer’s hair at his shop. Planning a visit to Gene’s Barber Shop is easy! 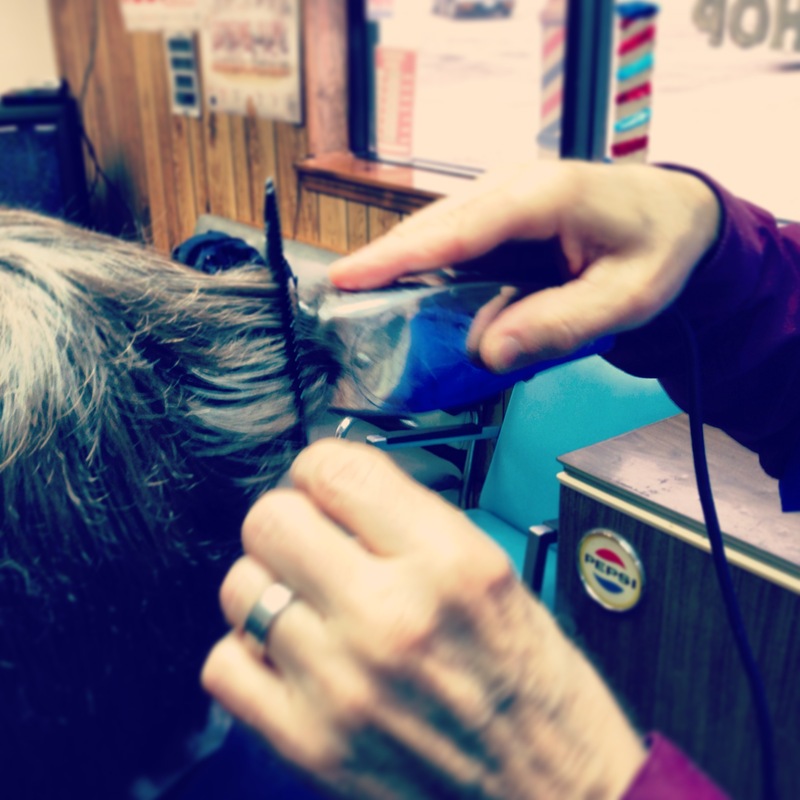 We accept walk-ins and cut our customers’ hair on a first-come, first-served basis. If you would like to get a sense of your wait time, feel free to give us a call to find out how busy we are before you visit. Our phone number is (217) 356-7007. We accept cash and checks as payment for our services. Prices for our services are: Haircuts $18 each ($17 for seniors). Beard trims $6 (or $1 with haircut).